If you’ve been waiting anxiously for the date when you can play SMITE on your Xbox One, wait no longer! OK, that’s not quite true, you still have to wait a little longer. But not much! The SMITE open beta — which, for a free-to-play game, is effectively launch — for Xbox One will kick off on July 8, allowing every XB1 owner to play it for free*. There won’t be a wipe, so progress from the closed beta will carry over, and players can do a one-time merger of their PC and console accounts; some conditions apply, so make sure to read the FAQ carefully if you’re considering this option. * Oh, right, an Xbox Live Gold account will still be needed. So it’s kinda free, but that’s not Hi-Rez Studios’ fault. For more info about the SMITE XB1 launch, read that FAQ. 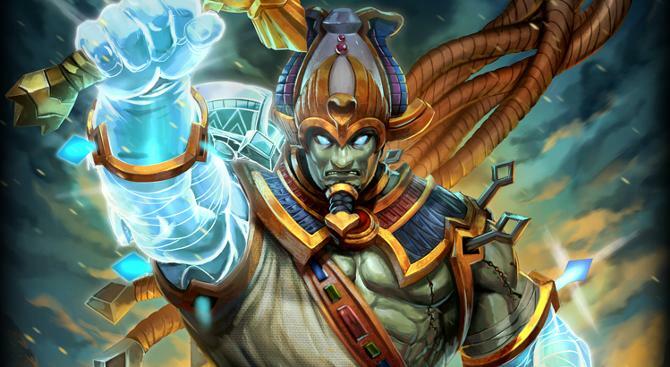 Are you excited to be getting the chance to play Smite on your Xbox One? Why do you guys use the old Kali in the thumbnails? She got a remaked skin with abillities.